Litho Circuits are a complete printed circuit board (PCB) solution & Led Lighting provider. Click on the services below for more details. Litho Circuits and our experienced designers have been providing a wide range of design services for more than 25 years. Find out more about our design services, specialties, and areas of expertise. 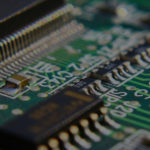 We provide a one-stop solution for all your PCB requirements, including procurement with competitive pricing, excellent quality, and on-time delivery. Find out more about our sourcing capabilities. We offer the highest standards of workmanship on low volume PCB assembly. Find out more about our assembly services. Let us handle sourcing your hard-to-get parts and kitting for PCB assembly. Find out more about how we can help. Low volume prototype SMT & BGA Assembly. 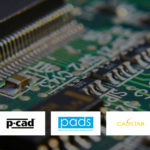 Using a range of CAD tools including, Cadence, Altium, PADS, Cadstar, PCAD.